PA Grand Canyon Lodging. Where to Stay at the PA Grand Canyon. Find Hotels and Motels in and around Mansfield & Wellsboro PA, also Corning & the Lake and Wine region. Stay at a Cabin, Cottage, Vacation Rental, or B&B.There are also several camping facilities. 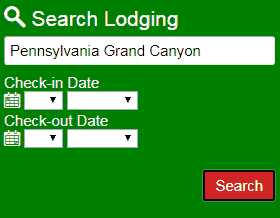 Explore some of the PA Grand Canyon area's most popular accommodations. Quality Inn and Suites Easy in and easy out. Comfort and quality. Rated for Best Value. Have a great stay with Mountain Views and a Complimentary Hot Breakfast. Wi-fi. Hampton Inn Close to area attractions, restaurants and shopping. 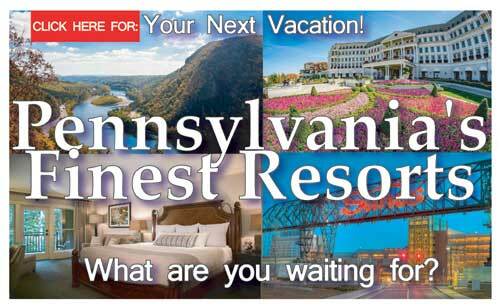 Visit the PA Grand Canyon and experience a Top-rated Inn. Clean and comfortable rooms. Penn Wells Lodge 4 Main St., Wellsboro. 89 rooms, suites, traditional, and motel-style rooms. Indoor pool. Complimentary breakfast, Wi-fi. Terrace Motel 329 Tioga St., Wellsboro Motel rooms and cabins close to the Pa Grand Canyon and Pine Creek Rail Trail. City Hall Grand Hotel Historic Beauty. Highly Rated. And just minutes from the Pine Creek Rail Trail access at Jersey Shore. Sherwood Motel Budget priced Wellsboro Motel with 42 guestrooms and an outdoor pool. 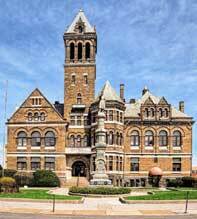 Enjoy a stay in Wellsboro and Visit the Pennsylvania Grand Canyon. Canyon Motel 18 East Avenue, Wellsboro Pa. 44 Room property with Suites, King Jacuzzi rooms, Indoor heated pool, hot tub, sauna and exercise room. Hotel Manor 392 Slate Run Rd, Slate Run Pa. Restaurant, Bar and Lodging in the heart of canyon country. 10 rooms with private bathrooms, air-conditioning and a queen-size bed. PA Luxury Resorts Explore 14 of Pennsylvania's finest Resorts, each with its own special charm and allure. Discover your next vacation destination. Microtel Enjoy a stay in the PA Grand Canyon area any time. Open all year around with an Indoor Pool and Jacuzzi. Spacious rooms. Great Location. The Falls Beautiful Lake Tour and Wine. What could be better? Enjoy a visit to Wine Country. Highly rated with Superior service. Frosty Hollow B and B 1077 Cherry Springs Rd Coudersport. Enjoy 10 beautiful rooms and suites with private baths. Country breakfast included, WiFi, and gift shop. La Belle Auberge Downtown Wellsboro's Luxurious Victorian Bed and Breakfast. Great location. Breakfast, and in-house massage. Enjoy the exceptional Pa Grand Canyon. Bear Mountain Lodge Well appointed accommodations; in room fireplace, AC, wireless internet, private deck, private hot tub or whirlpool tub. Bike barn near rail trail. Smoke free. 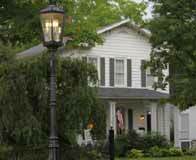 131 Main Street Private B-n-B with King beds, private baths, internet, smoke free and pet free. Experience downtown Wellsboro and the PA Grand Canyon. A Hint of Europe 1798 Dean Hill RD. Wellsboro PA. Fully furnished luxury apartments located in the PA Grand Canyon area. Nightly or long term leases available. Ideal for vacation or business. 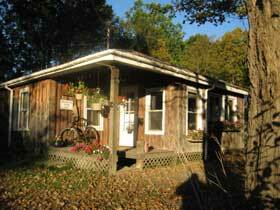 Gail Dupont Guesthouse Daily lodging in a cathedral ceiling cottage with private deck and view of the forest. Private and quiet. Bear Meadows Lodge Luscious rooms, private decks, great views, bike barn, near Wellsboro and PA Grand Canyon; most rooms have hot tubs. Smoke free/ pet free. Rough Cut Lodge Large main lodge with 5 bedrooms for groups, or seven beautiful cabins and six luxury suites, all located on Pine Creek. 2570 Rt.6 Gaines. Waldhaus Cabin Rental of very nice, secluded cabins near Blackwell, PA, including the Waldhaus and Ponderosa cabins. Pet friendly. Wild Asaph Cabin Rentals Offering four separate vacation rentals: Wild Asaph Cabin, Asaph Run Cabin, Blair Creek Cabin and The Last Lantern Guest House. Enjoy your stay in town or in the wilds. Harrison Run Holiday Cottage Pet and people friendly. Easy to get to. Hard to leave. Canyon Country Campground Wellsboro. Pa. Heavily wooded, modern conveniences. Tenting to Full hookups and Cabins. Hiking trail to Canyon. Pets welcome. Potter County Family Campground 3075 E. 2nd St., Coudersport, PA.